Cozy winter weekend at home. 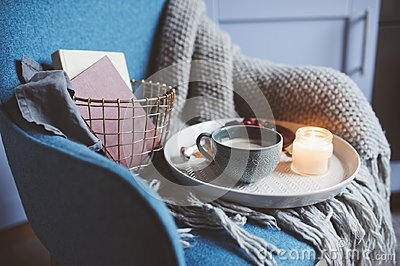 Morning with coffee or cocoa, books, warm knitted blanket and chair. Hygge concept.